These Mickey Mouse waffles are gluten-free and dairy-free! My family and I recently went to Disneyland in California. The good news is that we stayed safe; no reactions for us. I did quite a bit of research before as well. 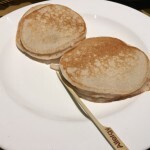 What you should expect is that almost every restaurant on the property can probably give you something. 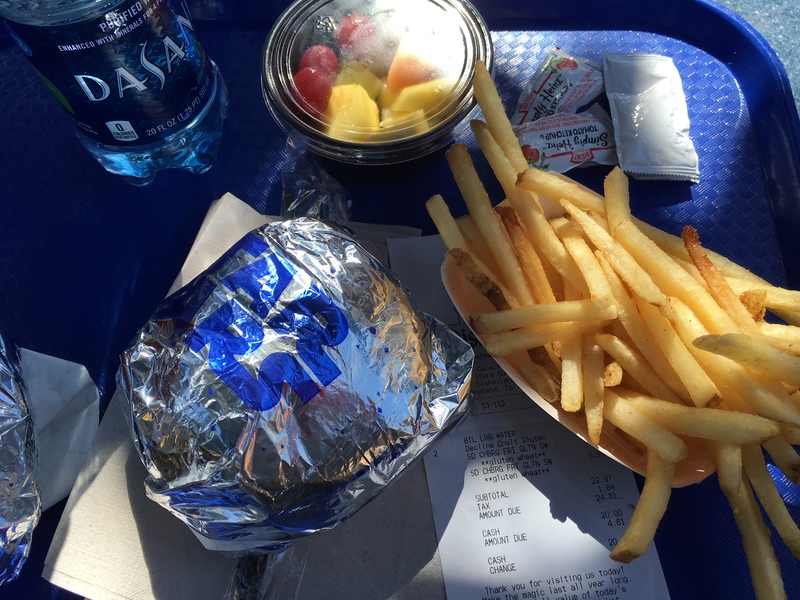 Eating gluten-free in Disneyland is easier than you might think! We didn’t have to worry about safe food at Disney! 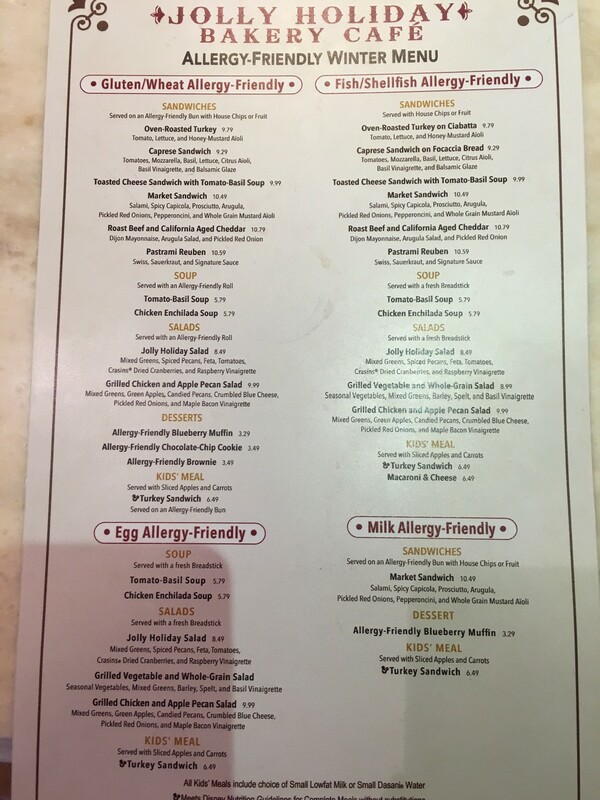 While you are waiting in line at either Disneyland or California Adventure, look for the allergy menu so you have a chance to peruse before you order. Try to eat at off-peak times, for example at 11:00 am rather than 12:00 pm. Generally, our special orders took a little longer. Some times the chef came out and some times he/she did not. I was able to watch some of the food being made in another area of the kitchen which made me happy. Servers are happy to bring out the chef and/or show you the ingredients of any product. The only downside is that if you are in the mood for something (safe fries, burger with a gf bun, etc), you have to know where to go. The menus list all of the options. This one in California Adventure. Overall, Disney is very willing to accommodate. They have done a lot of training with the staff. 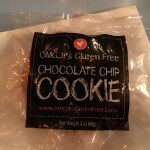 Here is a recap of our gluten-free experiences. Hope this helps you! 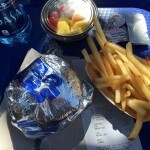 Galactic Grill (Tomorrowland)-Gluten-free hamburger roll and safe french fries. 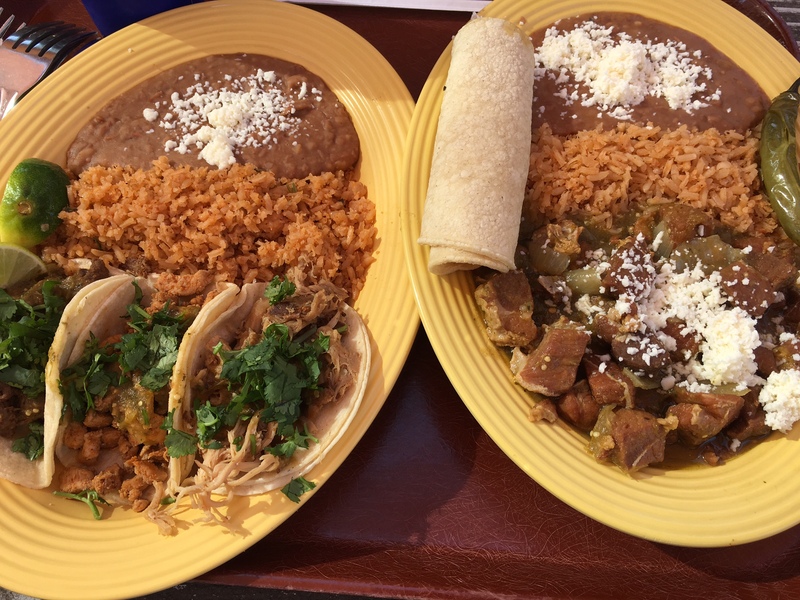 Rancho Del Zocalo Mexican restaurant (Frontierland)-Trio of tacos and pork chile verde. Golden Horseshoe restaurant (Frontierland) GF chocolate cake (we didn’t try it) but had a fudge sundae without the cookies (I checked the ingredients of ice cream and sauce). Carnation Café (Main Street USA)-We didn’t eat here but the menu looked enticing with pot roast and baked chicken options. Jolly Holiday Bakery Cafe (Main Street USA) gluten-free buns for the sandwiches and gluten-free chocolate chip cookie from OMG…It’s Gluten-Free. 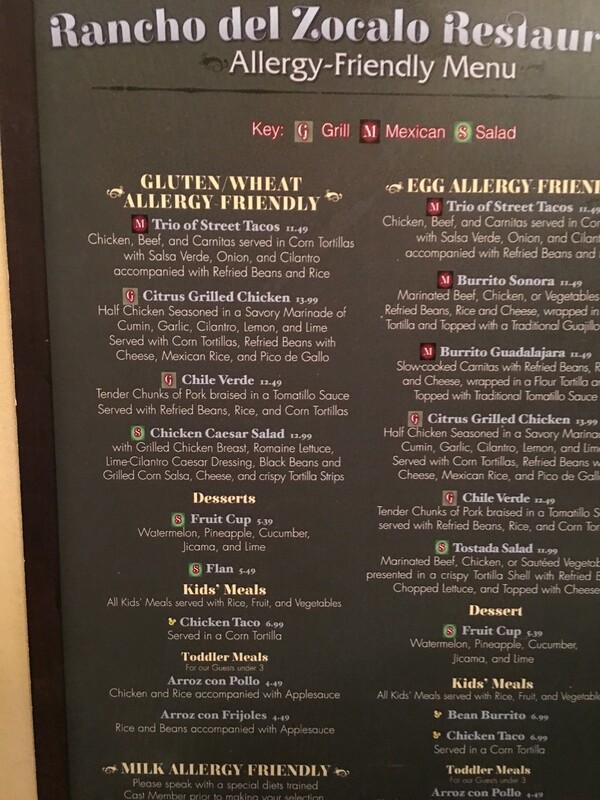 Uva Bar-almost everything was gluten-free except anything fried and anything with the bread. The waiter was knowledgeable. Napolini-Had gluten-free pasta with clams. Safe but not the best dish I’ve had. We did order it to go so maybe that was part of it. Wish they had gluten-free pizza! 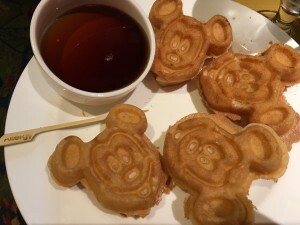 Storyland Cafe-We ate at the character breakfast. Half of the buffet was muffins and danishes but they other half had great proteins. The only thing we couldn’t eat was the chilaquiles (chips fried with gluten items). The quality of the buffet was very good. 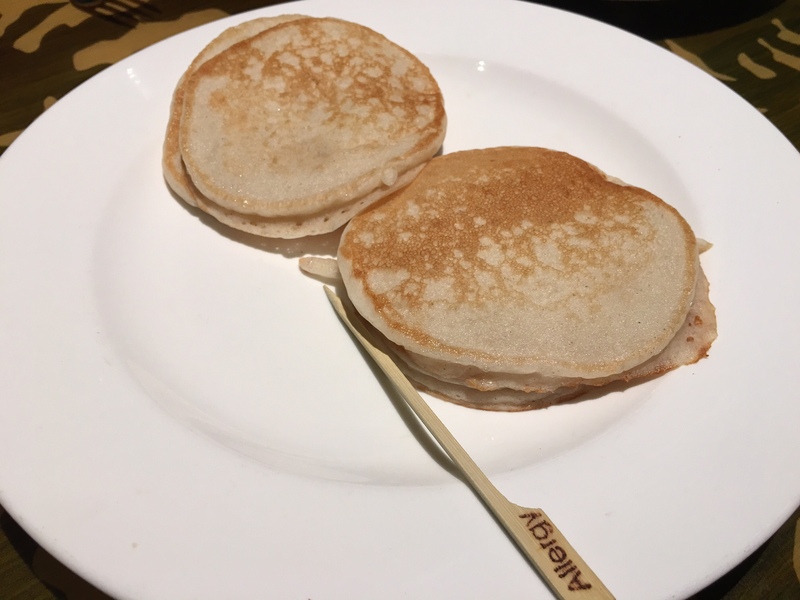 We were able to order allergen-friendly pancakes and Mickey waffles. They also provided toast. Great way to start our day. 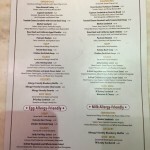 White River Café-Here they offered scrambled eggs with gluten free bread and again, the staff was knowledgeable. 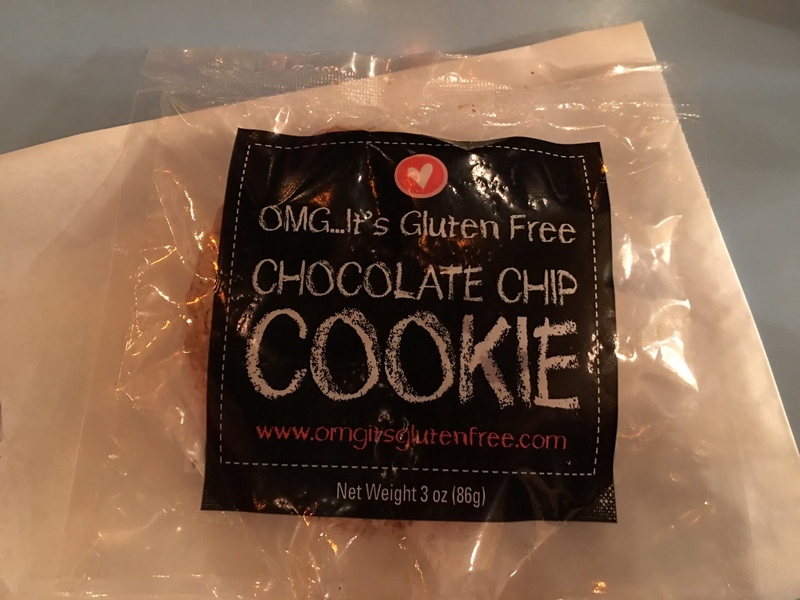 There’s not much for grab and go but you can order gluten-free from the menu. Look up at the board to see what there is. 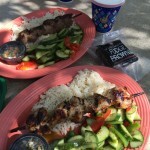 Paradise Garden Grill-Although the menu was fairly simple, it was nice to get some healthy skewers and not have to worry. Lucky Fortune Cookery-Thankfully, after doing some research, this one had high marks from other diners. We had a gluten-free teriyaki chicken bowl. When they start serving gf dumplings, I’ll be really happy! Thanks for sharing! 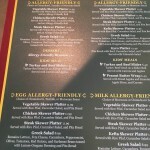 If you guys go back check out pizza port in tomorrow land they offer gluten free pizza and pasta! 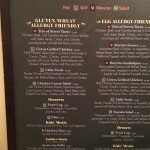 The Blue bayou also has a good gf menu! Thanks Amy for the details! Thank you! 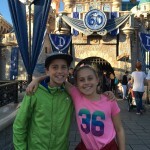 My 10 year old has just been diagnosed with Celiac and we are headed to Disneyland in a couple of days. I’ll check out your cook book, too, as I am new to all of this. Hi Ann! Thank you very much. I hope this info is helpful. I have an 11 yr old who has been gf a long time. Contact me (via the website) if I can help more. I’ve got a lot of resources. I haven’t heard of anyone making gf churros. I make them occasionally, though! What area of the country do you live? Also, the desserts I found were usually gf brownies and chocolate chip cookies. If you have time, the two places I would try to visit would be the gf bakery in Santa Barbara (I think it’s called Lilac Patisserie) and a place called Kikari West in Redondo Beach (went there last year and it was amazing!). Hope this helps. How sensitive are you/your kids to wheat and/or gluten? My daughter and I are very sensitive to both wheat and gluten. We react quickly and severely. You said you felt safe; was there ANY reaction at all when you ate at these places? Did you notice any practices that could introduce cross contamination? We are headed there in September, so trying to plan ahead!! 🙂 Thanks for your time! She’s very sensitive but she doesn’t react until the next day which makes it hard to track where a contamination comes from. 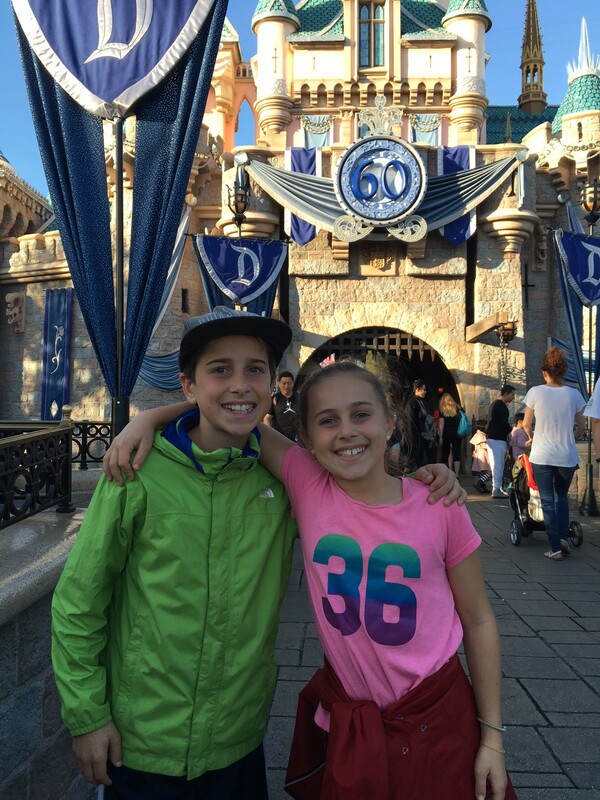 I went to Disneyland this past Feb with a friend. She swears by Storyteller Cafe. 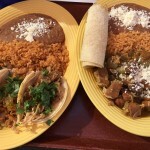 We also dined at the Mexican restaurant in the Magic Kingdom. They made our meals in the back. I consistently hear that people who are very sensitive do not have problems. I would also look at posts from “gluten free nerd”. She visits Disney CA often. She will also get very sick if exposed. 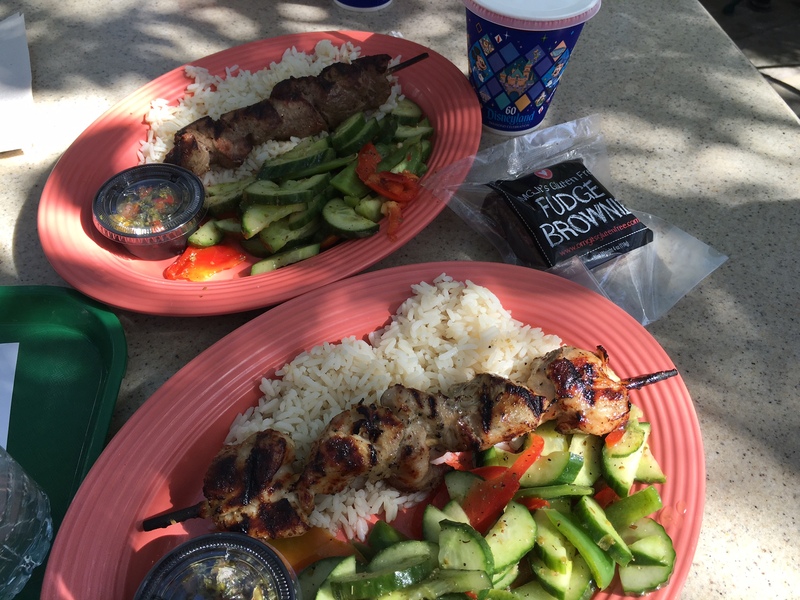 I find the biggest challenge is actually eating outside of the park! Hope this helps. Also, one more thing. At any Disney restaurant, you may ask to speak to the chef. It will take longer but it might put your mind at ease. 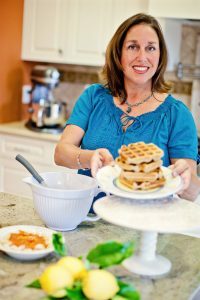 Generally, trained staff or managers are the ones to make the meal. 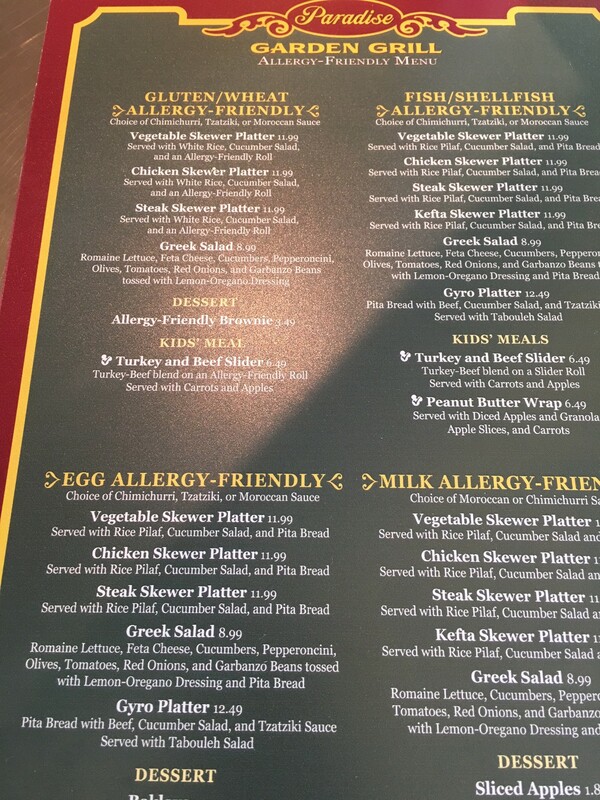 You have to use the term “allergy”. I can’t thank you enough for your blog. It is very helpful. We just found out our 7 year old son has celiac. It’s a learning curve for sure. We have a Disneyland trip planned for October. Are there any places that serve GF chicken nuggets/ chicken fingers !